After the frequent Awareness and advocacy efforts by SPADO for Campaign to Stop Killer Robots, effective recognition of campaign’s presence and importance to policy makers and think tanks was observed. To raise awareness on killer robots’ issue among the general public especially youth and to make them indulge in campaign and become its voice SPADO went another step further and announced to hold an Art Contest on Fully Autonomous Weapons Systems. 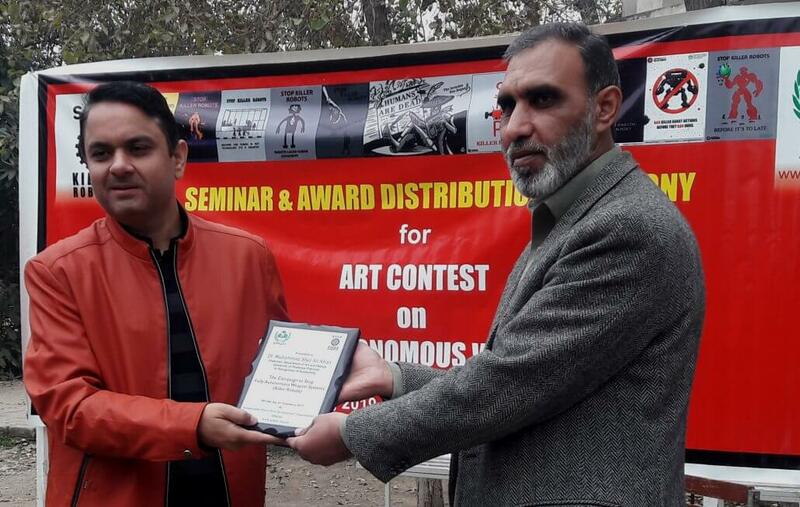 SPADO held a ‘Contest for the Artists’ Depiction of Killer Robots/LAWS’ at national level in Pakistan. SPADO carried out orientation sessions in Universities, schools and fine art institutions in the province of Punjab, Khyber Pakhtunkhwa and at The Capital Territory of Islamabad. SPADO sent letters to academia mentioning the campaign, Pakistan’s role and campaign activities being carried out in Pakistan. Campaign team had to make major changes in planned activities because later on it was revealed that students were busy in preparation of their exams which were about to be held in the same month of November or December the very next month. The exams caused a major restrain in the execution of planned activities which were mainly focused to engage students at large. SPADO campaign team tried their best to facilitate students with their schedule making changes in activity timeline. Despite the exams Art Contest succeeded to engage students and a stock of effective campaign media such as illustrations, digital drawings were developed to make general public understand and get a clear picture of the issue of LAWs and which could further be used and displayed at various campaign publications, presentations and meetings related to LAWs in future advocacy and campaigning work. Here is a list of approved submissions. 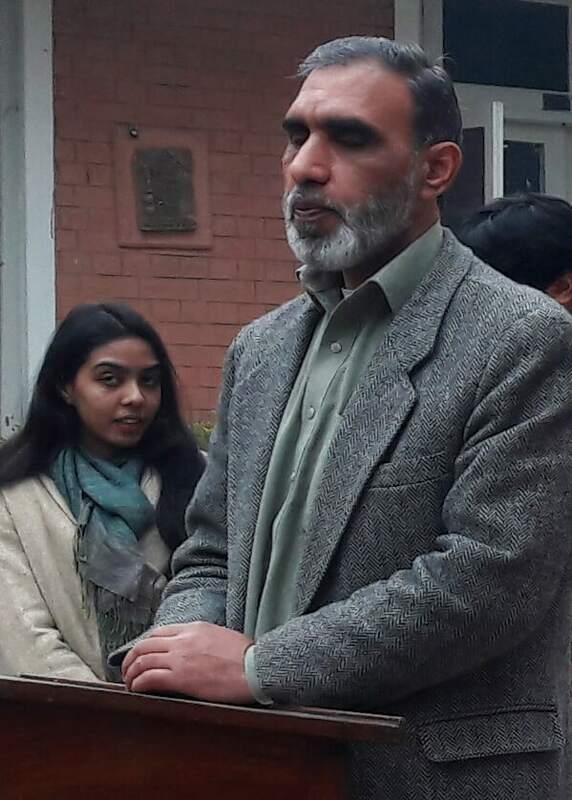 SPADO team conducted briefing sessions at Sajida Hussain Art School, Islamabad, National College of Arts, Rawalpindi, Punjab and at Fine Arts Department, University of Peshawar, Khyber Pakhtunkhwa. The briefing or orientation sessions were aimed to spread awareness regarding Fully Autonomous Weapon Systems, Campaign to Stop Killer Robots and the Art Contest. 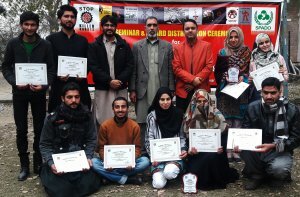 SPADO team highlighted the sensitivity of issue and urged students to play their role to save humanity and spread the campaign through word of mouth and social media. 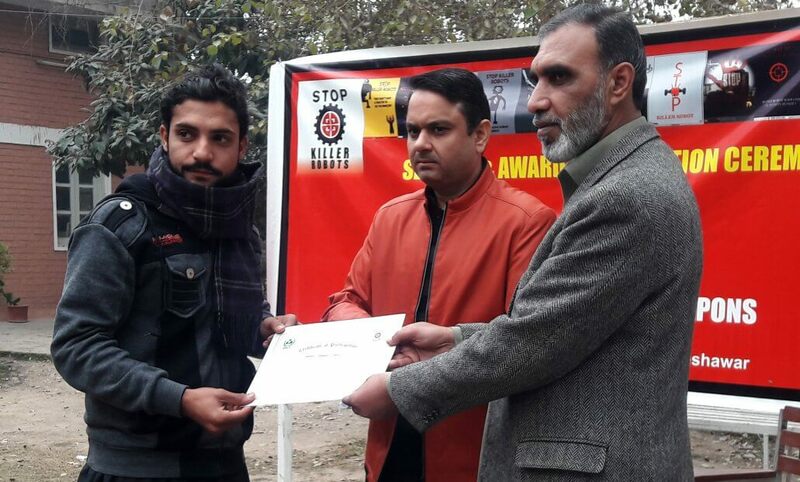 Students were briefed about the activities and efforts of campaign in Pakistan. SPADO team displayed videos and visuals from Campaign’s website and social media accounts. Students were also briefed about the Art Contest and encouraged them to participate in the contest especially the digital artists were focused and appreciated. The issue of Killer Robots was new to almost all of the students and showed interest in learning more about Fully Autonomous Weapon Systems, and Campaign to Stop Killer Robots. 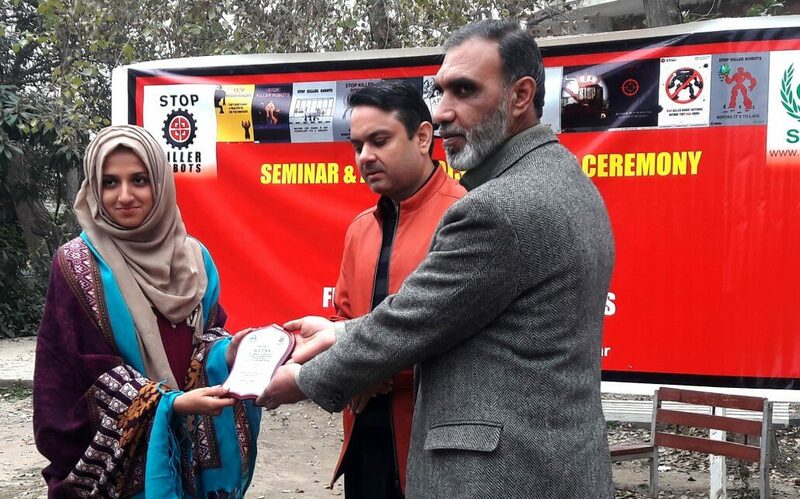 The award distribution ceremony was held on 10th of January, 2019, at Fine Arts Department, University of Peshawar, Khyber Pakhtunkhwa. The winners of top three positions were awarded with prize money. Contestant appeared at 4th and 5th positions were awarded with Honorable Mention Shields. 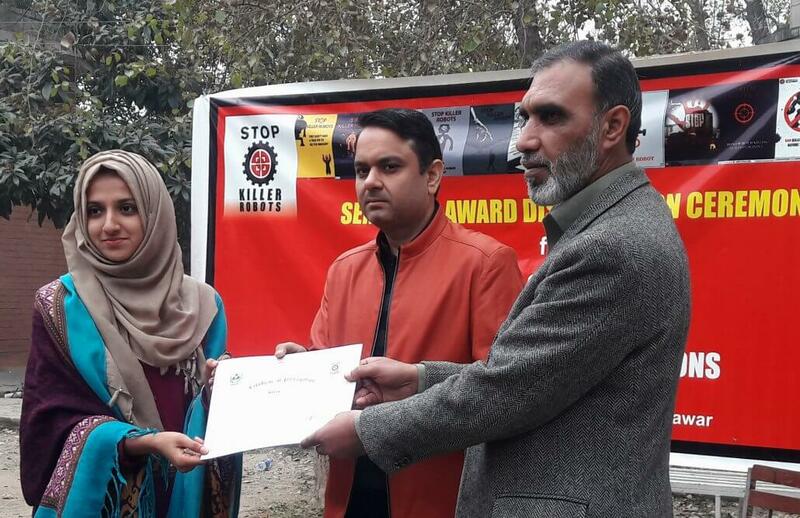 Certificates of appreciation were distributed among participants.